We have one stallion paddock and associated stabling. Further stabling and three huge recently converted barns for housing horses through the winter. These are incredibly successful for wintering. Each barn has access to paddocks during the day. 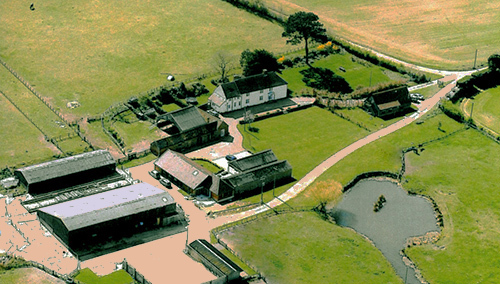 We have recently input a new yard of 5 stables for visiting horses and private use.. This is a lovely yard which was converted in the late 70s. One side consists of three huge stables that are designed for mares and foals and the other side as 6 loddon style boxes. This yard is wonderful for youngstock as it is quiet and ideal for weaning foals due to the shape and style of the boxes. From this yard there is direct access to fields of over 60 acres in size. Farriery Work - We have a team of farriers who are excellent with youngstock and remedial farriery who visit the stud every two weeks. We operate a very strict worming policy and all the paddocks are cross grazed with sheep. Due to the huge acreage we have we are able to rest paddocks properly. 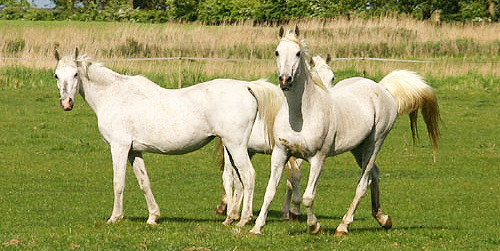 The Stud has one access to each of the areas: Valley Farm and the main stud (at Heritage Coast Stud) which provides us with excellent security and we have family members living on both sites. Further facilities that we have available: we have infa red treatment, hot/cold therapy systems, magnetic treatments, indoor sand school for controlled exercise, outdoor all weather school for controlled exercise. Note - All fees such as farriery, worming & veterinary are not included in the livery fee.